It’s hard to imagine Brighton having three piers at once when today it can’t even handle two. The Chain Pier opened in 1823 by New Steine as principally a landing platform for large vessels. It closed in 1896 after having been declared unsafe but was then destroyed in a massive storm that same year. The West Pier opened in 1866 as a promenade pier though it was to change much over the years. The Palace Pier opened in 1899 though work actually commenced in 1889. 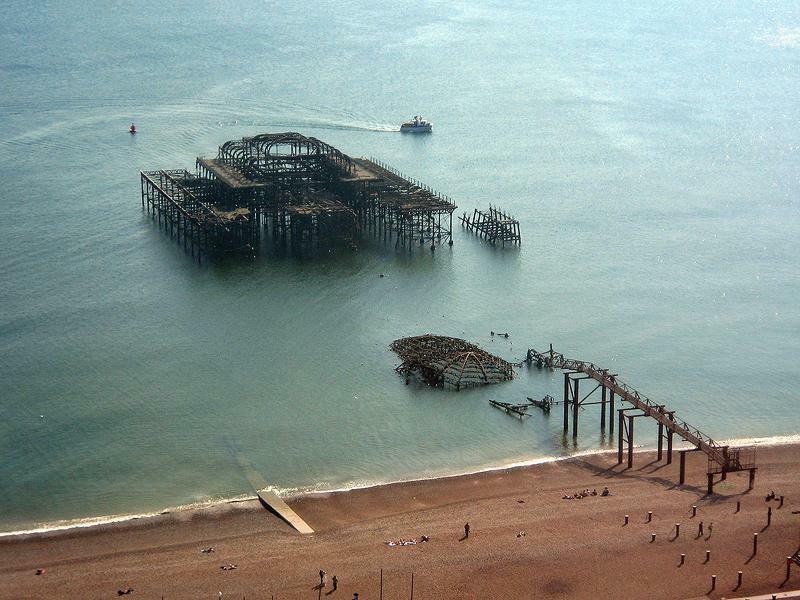 So, for several years up to the destruction of the Chain Pier, there were three piers in Brighton. Admittedly, one wasn’t exactly complete. Hopefully, the term ‘Palace Pier’ has not confused any readers. The Palace Pier’s current owners, the Noble Organisation (who have no concept whatsoever of corporate responsibility for other reasons), are currently calling it ‘Brighton Pier’! 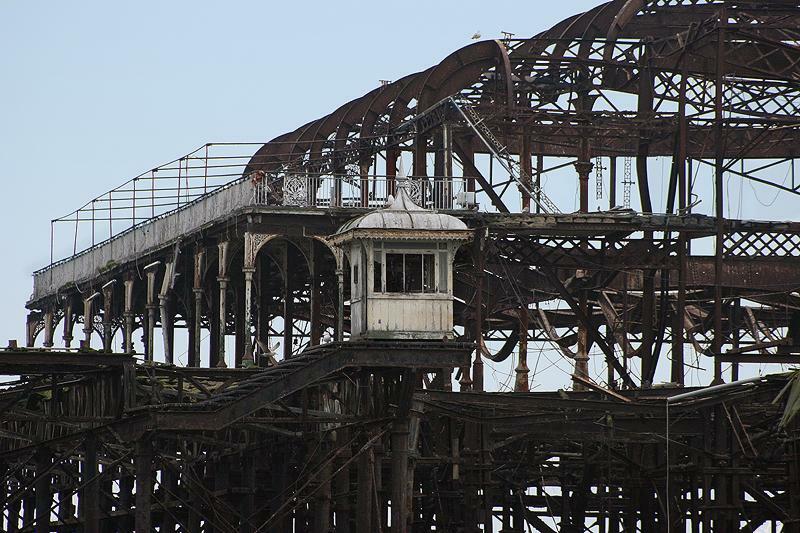 I wish that I had paid more attention to the West Pier before the fires, It was/is one of only two Grade I Listed piers in the country; the other being Clevedon Pier. As a point of principle, I struggle to understand how a Grade I Listed building can be treated so badly. Heads should roll. It was opened by the mayor at the time, Henry Martin at a cost of £27,000 and a length of 1,115 feet. Its large pavilion was added in 1893 which was converted into a theatre in 1903. It was cut in half in 1940 to prevent enemy landings and then never really recovered. Richard Attenborough’s great film, ‘Oh! What a Lovely War’, was filmed there but it still closed in 1975. Fires in March and May 2003 reduced the Pier to just a skeletal frame and a storm in June 2004 led to its sad collapse. Birch built his first pier in Margate in 1853 and went on to design others in Eastbourne, Bournemouth and Hastings – a total of 14, in fact. His piers were fixed to the sea bed using his patented cast-iron screw-piles. He died in 1884 as one of the finest engineers of the Victorian era. This column is intended as the first in a series that will hopefully end with some good news. I have been discussing with a responsible local builder his plans for a new West Pier. His proposal, unlike previous suggestions, contains no view-spoiling shore development. Watch this space for more news soon.